The Morganti Group, acting as the general contractor, is building the fourth phase of this downtown residential project. 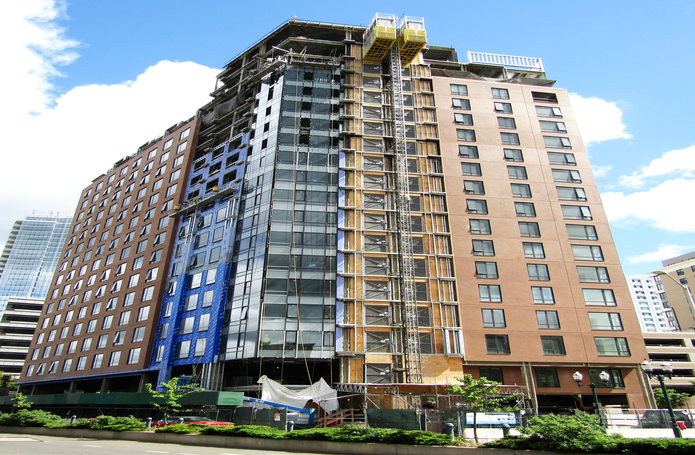 Working with local subcontractors, Morganti is orchestrating an efficient condensed building schedule for this 12-story 209 unit Class A luxury residential structure. Due to the tight urban site and lack of laydown area, the scheduling of phased work and daily subcontractor coordination has been vital to progress. The management of this project has also included strict site logistics and safety plans for pedestrian, vehicular and site worker traffic. The structural steel building design will have an energy efficient envelope consisting of a combination of pre-cast concrete, metal panels and curtain wall glazing systems. 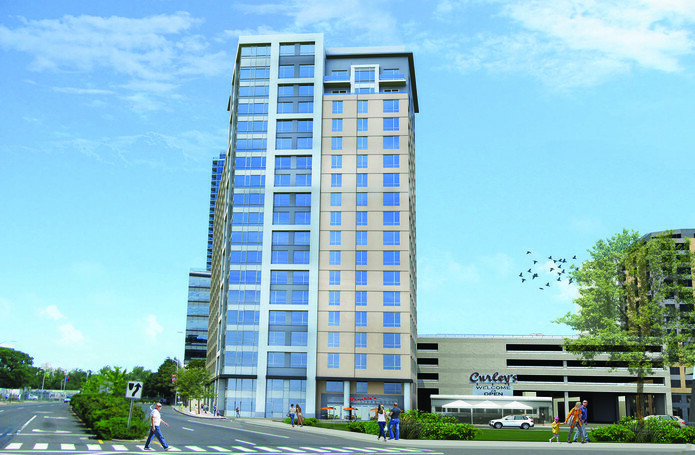 The new residential building will add to the City’s revitalization of the growing downtown area by having walking distance access to public transportation, main street amenities and public spaces. The building will include a 3,600 sf street level retail space, common area lobby/lounge, gym, yoga room, club, kitchen and game rooms. 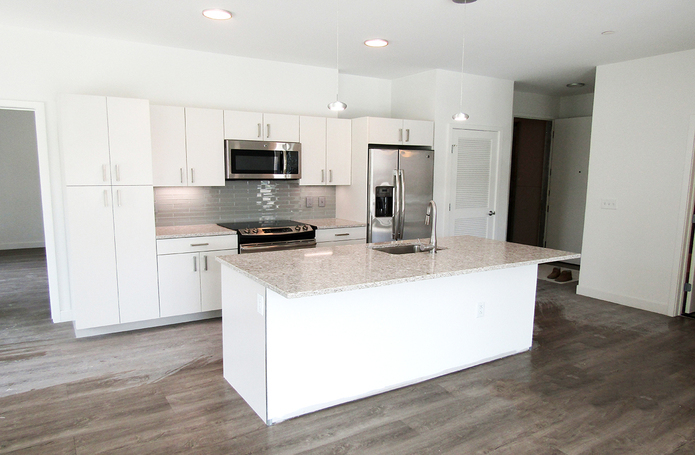 Units range from studio to two bedroom/bath with balcony spaces and have access to a rooftop patio and BBQ area.